I’ve been lucky enough to start the year with a number of weddings where I get to play part of the ceremony as well as the reception. I love the opportunity to help make sure the music and sound for the nuptials are well-suited to the tastes of the bride and groom. 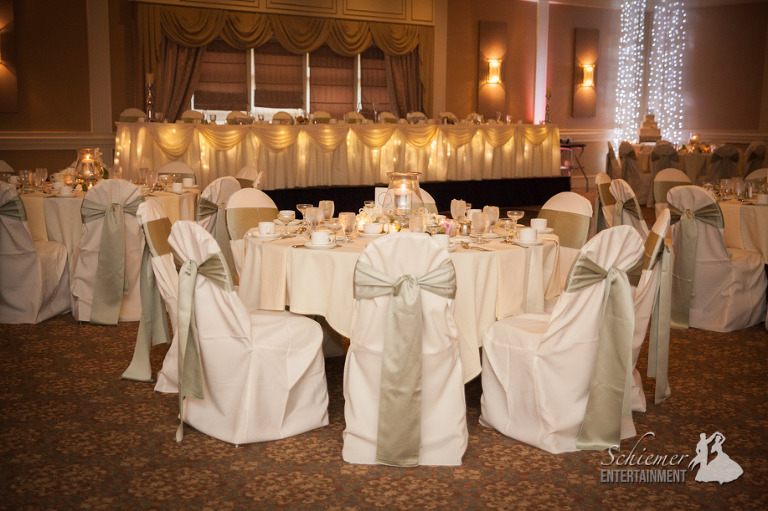 Margaret and Christopher’s elegant and fun-filled wedding day was held at the Chadwick in Wexford, PA. The outdoor space at the Chadwick was beautifully decorated and the weather could not have been more perfect as guests gathered to celebrate with the happy couple. Margaret and Christopher share my passion for music and organization. 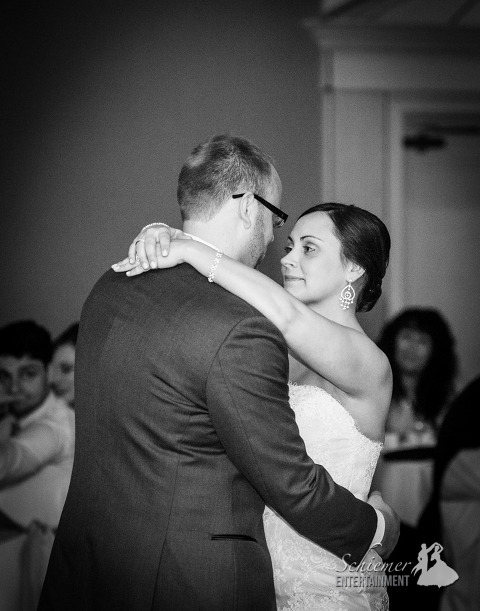 I loved working with them to create the soundtrack for their special day. Their playlist was a wonderful mix of everything to piano classics to modern popular hits. There was something for everyone! I loved the chance to witness the day unfold and was even happier to see all of the couple’s plans work out so perfectly. All of Margaret and Christopher’s hard work paid off as their friends and family joined in dancing, singing in a big celebration of their new lives together. Winter has come to Pittsburgh! 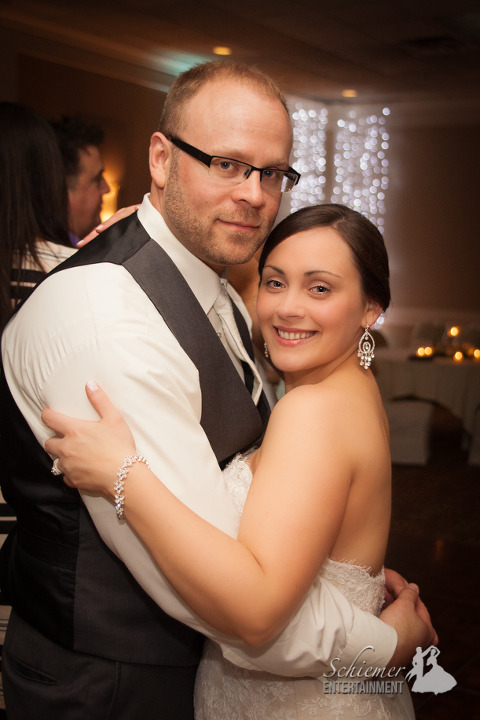 Just in time for the beautiful snowy-themed wedding of Ashley Derby and Jon Seelnacht. They hoped to have just the right amount of accumulation to fit in with their winter motif, but not enough to keep people from making it to the reception at the Chadwick in Wexford. The weather could not have been better. The Chadwick was decorated elegantly with many signs of the wintery season. A hot beverage buffet awaited guests with coffee, hot chocolate and apple cider. Along with the cookie table, there was also a great candy buffet for kids of all ages. 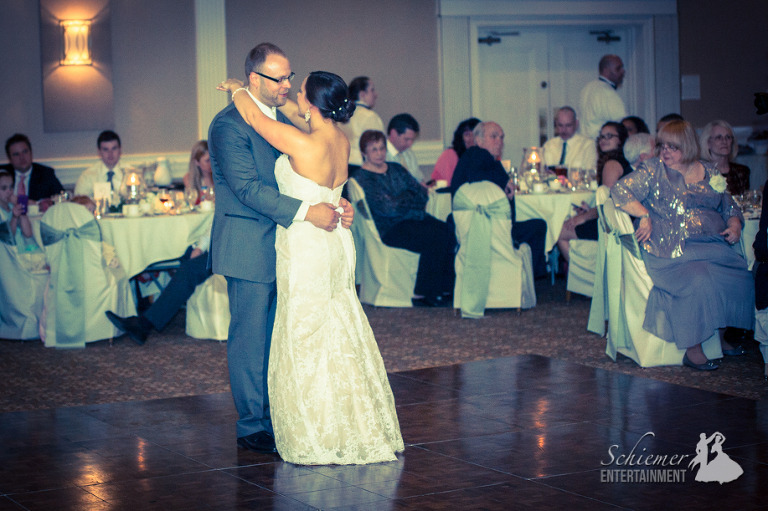 Ashley and Jon gave me lots of flexibility when it came to the music for entertaining their guests. This lead to an evening with music for everyone which really kept the dance floor jumping all night long. When the dancing started, everyone rushed to get glowsticks. This is always a fun touch that helps get the party going! Ashley and Jon created a reception that felt warm and cozy during a typically chilly time of year. It was clear that everyone enjoyed the special touches that were provided to be sure everyone had a good time. The newlyweds are now off on a well deserved trip to much hotter temperatures in Punta Cana.